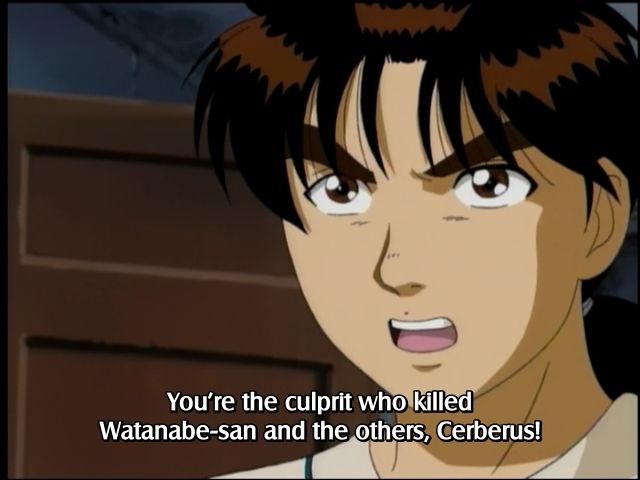 It's time reveal Cerberus's true identity, a meaning of Watanabe's dying message and a tricks behind this case. In my opinion, a psychological trick in this case is good. (Even not as good as Amakusa Treasure Legend Case). Well, you should watch this episode by yourself.